Well if it took somewhere around 100 years to get the 2nd avenue subway line built, then maybe it’s not so bad that the playground on West 60th street opened yesterday after a defunct pool closed about 2 decades ago. The park with entrances on West 60th street and West 59th street between West end avenue and Amsterdam, was funded by real estate developers as well as about 15% by the City. Is the Upper west side the best place to buy your first apartment? A quick search on listings site streeteasy.com shows 417 apartments under $1 million on Manhattan’s upper west side with 64 of those being condos. Under the $600k threshold, there are 124 co-ops and 7 condos. The upper west side has a mix of housing with walk up apartments, as well as doorman and non-doorman buildings. They run the gamut from a tiny $275k studio to penthouses in amenity rich buildings on Riverside boulevard with river views and outdoor space. There are pockets of affordability in the far west 90’s and 100’s as well. With the B,C subway line serving Central Park west and the 1,2,3 running along Broadway, the work commute is not as much a hassle as the Upper east side which is overcrowded in the mornings. There are plenty of restaurants of every imaginable type in the neighborhood as well as a cluster of bars on Amsterdam avenue in the low 80’s. You also have neighborhood live music venues like Smoke and also Cleopatra’s Needle. On the upper west side, you have plenty of super markets including two outposts of Whole Foods, Trader Joe’s, Zabaar’s, Fairway and the West side market. In addition, you can choose a park between Central Park and Riverside Park depending on location. 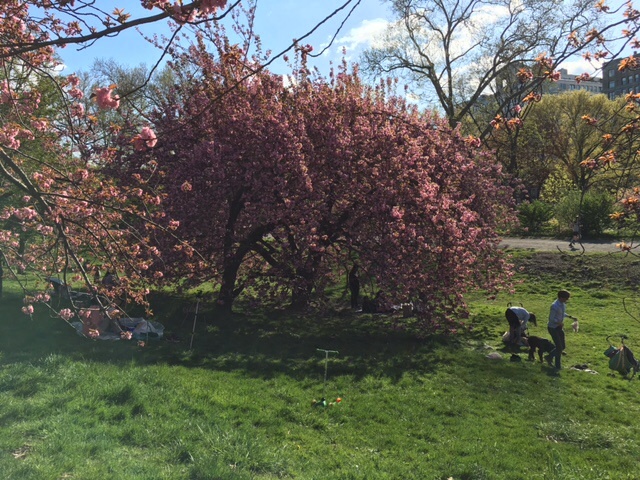 Cherry Walk on the Upper West side runs alongside the reservoir in Central Park. Affordability, convenience, and plenty of space make the upper west side a wise choice for your first Manhattan pad. Of course that is only my opinion and probably why I have lived on the UWS for 13 years. What do you think? Where do you want to buy your first Manhattan apartment? 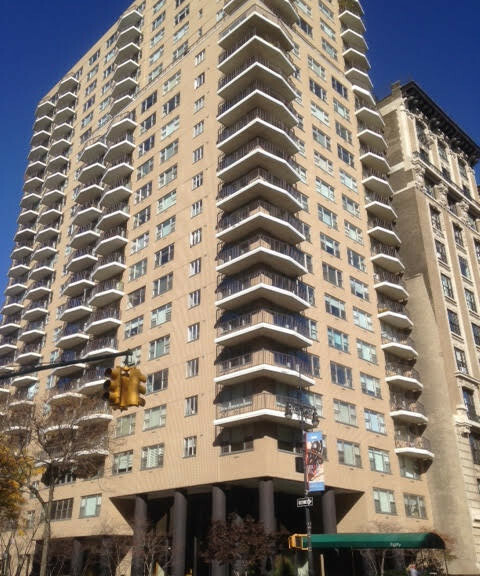 A 2 bedroom/2 bathroom, south facing apartment, was just sold in the 400 Central Park west condominium. The property was in the market and sold right away for the full asking price of $1.75 million. 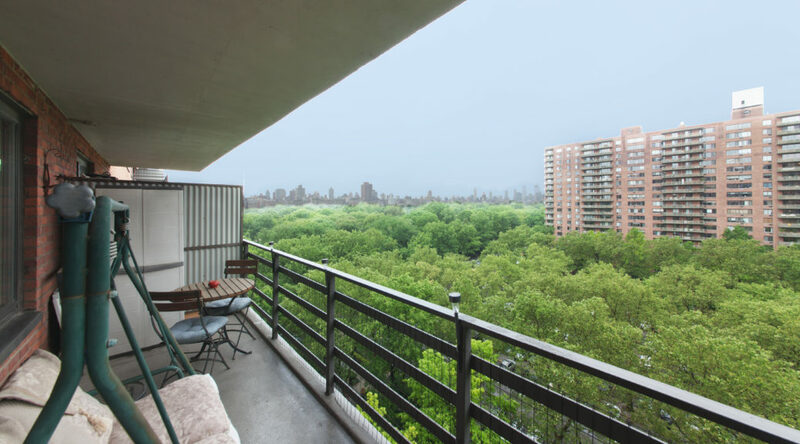 The 400 Central Park west condo is located at the corner of West 100th street and features a 24 hour concierge, on site super as well as management, in addition to a bike room,storage, childrens’ playroom, laundry and private gardens. Parking is available on a wait list and at this point takes about 1.5 years but costs just north of $200. The apartment itself featured a living room/dining room, galley kitchen and south facing balcony with beautiful views of Central Park. 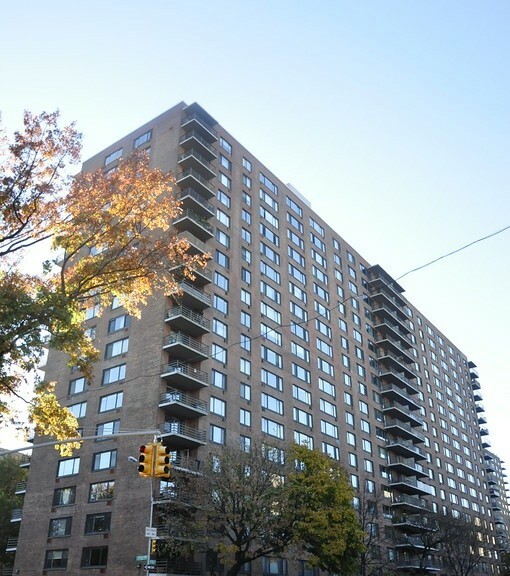 The market below $2 million continues to move well and apartments in this building as well as the Park west Village complex continue to sell. Is the Upper East side the best place to buy your first apartment? A quick scan of listing website streeteasy shows 99 condos in the market under $1 million on Manhattan’s upper east side. Compare that with the West Village which has a mere 10 condos under $1 million. 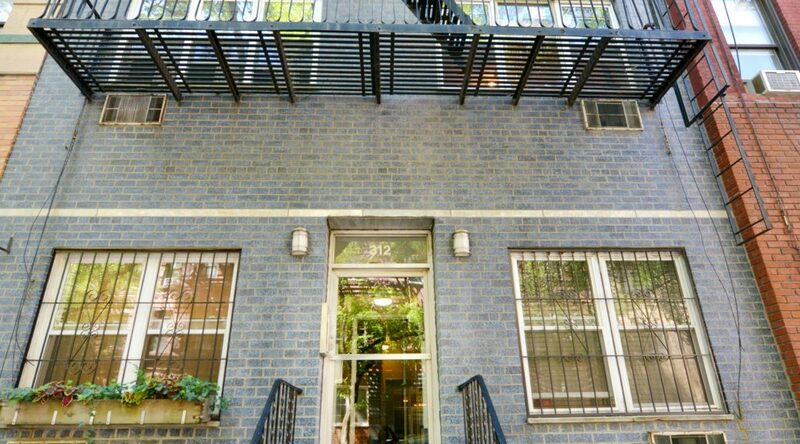 Taking a look at co-ops, you have 48 listings under $1 million in the WV and a remarkable 448 co-ops on the UES. Why is there such a discrepancy? Well, the Upper east side is about twice as large as the West Village but there are nearly 10 times as many listings available not two times. The Upper east side has more low rise tenement style buildings and less fancy new construction or converted industrial buildings so in some ways the housing stock is more modest and friendly for a first time buyer. Apartment 11k, a 1 bedroom condo with a south facing 18′ terrace has now entered contract. The building is the 400 Central park west condo which is at the corner of Central Park west and West 100th street on Manhattan’s upper west side. Amenities including storage, parking, 24 hour concierge, gym, childrens’ playroom, laundry, live-in-super, private garden and coming soon renovated interior hallways and a combined heat and power aka cogen system. Recently in the Real Deal, Jonathan Miller of Miller-Samuel Inc., commented that apartments in the 1 million to $1.5 million have a inventory of about 8 months for condos and 4 months for co-ops. The lower end of the market continues to move well….